DEK Technologies’ innovation is producing rewards for clients—by constantly seeking improvements in design, engineering, development methodologies and project management procedures. We have worked closely with local and international companies providing cutting-edge technology, innovative solutions and business expertise. In achieving these results, DEK Technologies has forged productive long-term working relationships. Our client lists have been built on repeat business and referrals. Mirantis is one of the main contributor to the OpenStack project, helping the companies to build and manage their private cloud infrastructure. 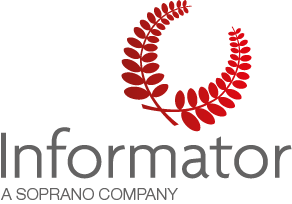 Informator is at the forefront of supporting Sweden’s professionals to take the step from the academia world into the work life and really transform the theoretical knowledge to practical benefit. DEK Technologies Sweden is helping Informator delivering top-quality training courses in Agile Methodologies, Erlang and Continuous Integration.